Ships tomorrow if you order in the next 18 hours 52 minutes. Your system is always in flux but it depends on a precise balance of particular bacterial strains to maintain normal immune function, vaginal and intestinal health. These healthy flora help defend your body against infectious agents like microbes, fungus and viruses. 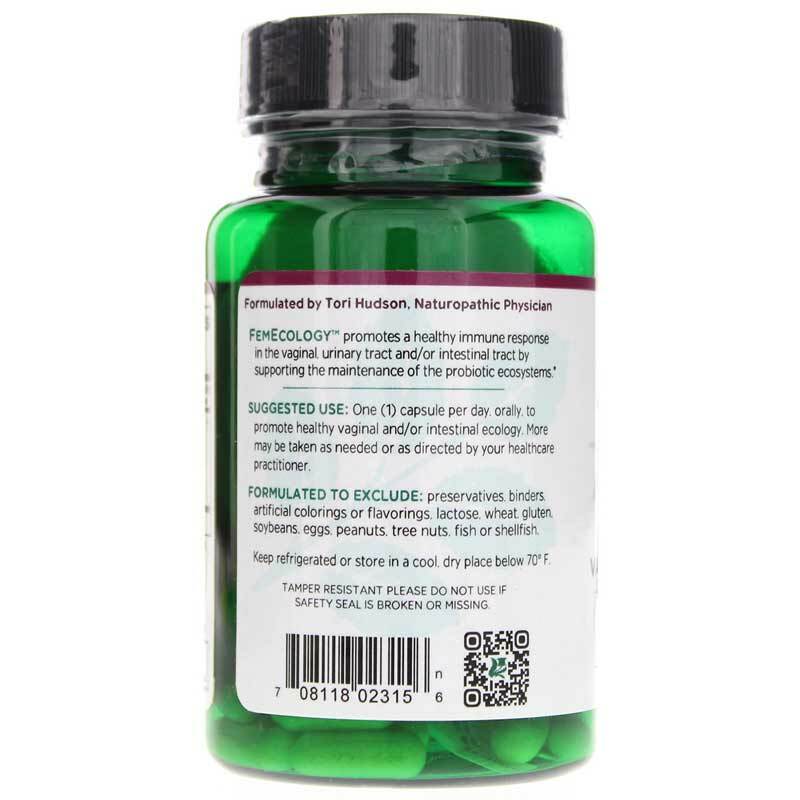 FemEcology from Vitanica features a blend of researched probiotic species that may specifically help maintain vaginal and intestinal immunity, pH and microflora balance. This probiotic formula can help you support and maintain healthy vaginal and digestive ecology for optimal health and comfort. Just one capsule a day delivers 10 billion live microorganisms. Order yours now! 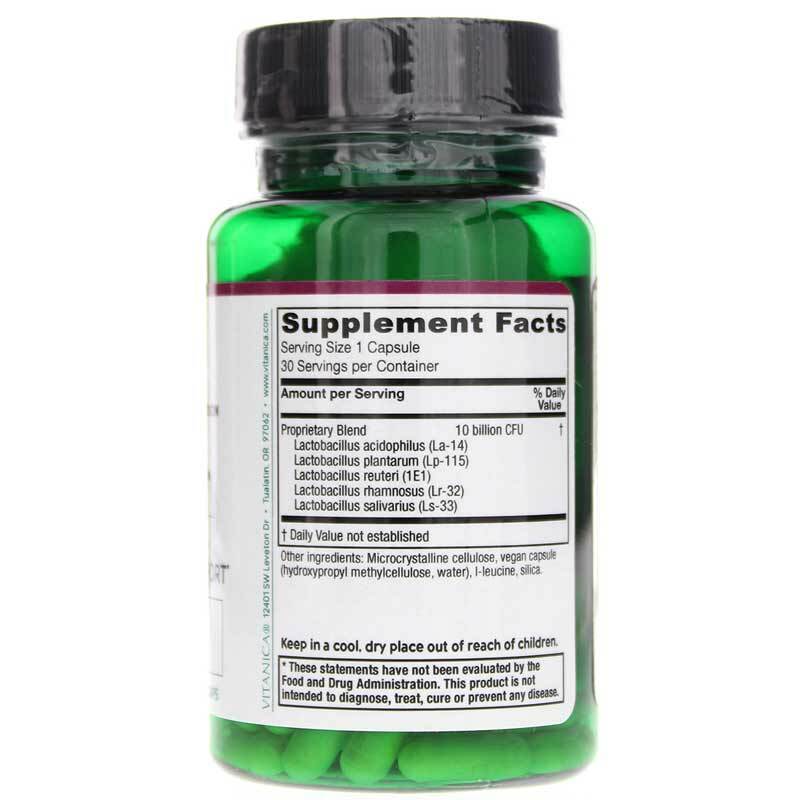 Other Ingredients: microcrystalline cellulose, vegetarian capsule (HPMC and water), l-leucine and silica. Contains NO: preservatives, binders, artificial colorings or flavorings, lactose, wheat, gluten, soybeans, eggs, peanuts, tree nuts, fish or shellfish. Adults: 1 capsule daily, orally to promote healthy vaginal and/or intestinal ecology. More may be taken as needed or as recommended by a healthcare professional. Do not administer probiotics through gastrostomy tubes. If you are pregnant or nursing, please consult your healthcare professional before using this product. Keep out of the reach of children.